The 2017 Pink in the Pool Invitational is Saturday, September 23, 2017! This year is a special one – it’s the 50th anniversary for Rails Girls Swimming, the 20th anniversary for the Lincoln Invite and the 5th year since naming the invite “Pink in the Pool”, adding a charitable focus to the meet. Over time, the Pink in the Pool invite has become one of the state’s largest and features five different top 25 teams in attendance. Fans will see some great swimming and divining. Plus, the net profits from the sale of pink gear will be donated to the Iowa chapter of the Susan G. Komen Foundation for breast cancer research and treatments. With so much history taking place this year, we’re inviting all Lincoln Swimming alums to come back for this annual alumni meet and cheer on the latest class of swimmers. We’re also extending invites to all Rails Swimming supporters and the entire SDMS Club Swim team and their families. Just like last year, all competitors will receive a free Pink in the Pool swim cap to wear during the meet, so we can literally have pink in the pool! Any extra caps will be sold for $6/cap (picture below). You can read more about other pink gear below. 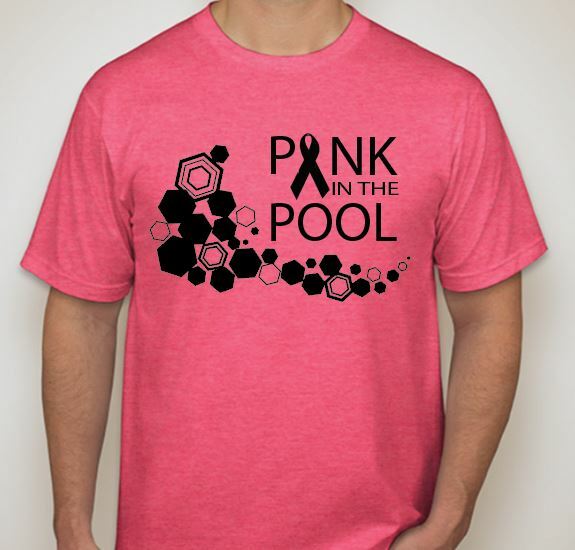 Start time: Diving – 8:45 a.m.; Swimming – 11:30 a.m.
All net profits generated from sales of pink gear and other items below will be donated to the Iowa Chapter of the Susan G. Komen Foundation. Again this year, attending teams were asked to submit names of any loved ones diagnosed with breast cancer to be featured on the back of the shirts. Button to do so is in the side bar. Solid pink and camo pink! You can pre-order online. Note: sizes 26-36 will be stocked. However, only in very limited quantities. No returns after purchase. Stock up on your swim gear and assist a great cause! Lincoln High School is also donating the entire gate admission! It’s a big meet for the team as they work to improve seed times, earn medals and finish with a top spot in final team scoring. Seven teams are attending Pink in the Pool 2017, so it would be great to pack the stands with maroon and gold! And with Rails Swimming (and others) donating money towards a good cause, it’s even better to have a full house. So come on out and experience the fun and exciting atmosphere of a high school meet! Maybe you’ll even win a prize! All while making a difference here in Iowa.